Moose Knuckles is a disruptive & premium Canadian sportswear. 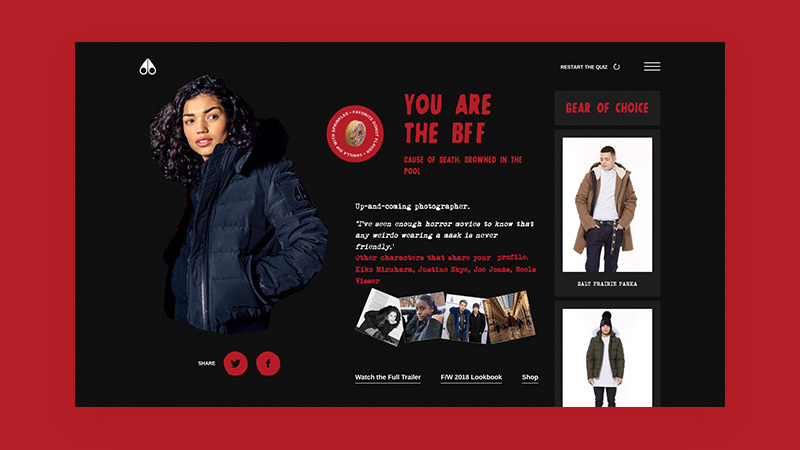 They needed an experience website to kick-off their F/W 2018 collection. 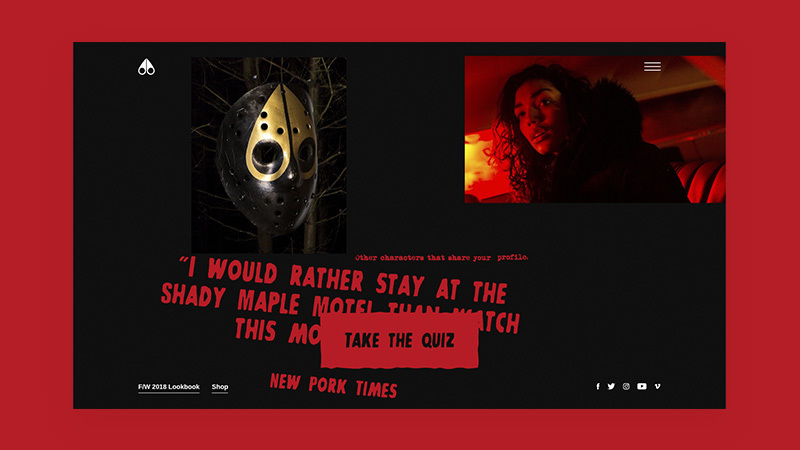 For that, they created a mini slasher movie : Shady Maple Motel. We had to play around the slasher style and ended-up with lo-fi style graphics (#fashionnobudgetbutwearecool) to create an engaging experience. We came up with a multiple final answers quiz based on the movie they created to showcase their products in an original way.